Damn! O_o This is some HUGE knife and glowes..
LOL! XD They're SO useful! Killer : It's just my knife. not blade ^^". 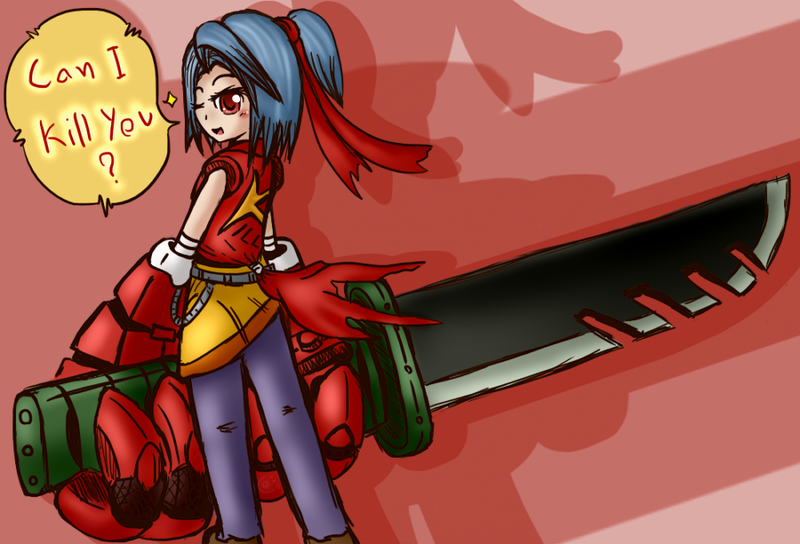 My blade long and big that this weapon.